When considering the many aspects of running a staffing company, the concern that frequently rises to the top is financing payroll. Staffing companies have seen a greater demand for services over the last year as the economy recovers. In order to succeed and grow you must concentrate on providing excellent service to your existing customers, building a new client base, and getting quality assignments for your staff. Your goal is to employ and retain the best employees, which means paying competitive salaries at regular intervals and always paying on time. This often involves funding payroll for your contractors prior to receiving payment from your clients. In many cases you may be paying your staff every week or at least twice a month. However, you could be waiting as long as 90 days for payment from some of your customers. 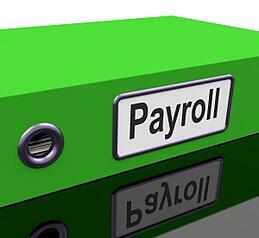 Payroll funding can be handled in several ways to ensure your company stays afloat and your staff is paid on time. The no debt no fee option – In an ideal world, this is obviously the preferred direction for everyone, but unless you are drawing from an independent source of income, or your company is well established and profitable enough to consistently cover all operating costs, the chances of being able to confidently cover payroll on a regular basis could be an issue. Traditional bank loan or line of credit – Assuming your company is established and successful, you should have no problems approaching the bank for a loan or line of credit. In this case, your total assets and cash flow will be the primary consideration for qualification. If you are a startup, with little or no collateral invested to use as a guarantee, this type of funding will be more difficult to obtain. Venture capital funding – Venture capitalists can be a viable option, but require an equity stake in your company, and will often want to be a part of the day to day operations. The good news is that if you find a venture capital company interested in investing, they see potential in your business and anticipate healthy returns in the future. The process can take time; so make sure you are prepared for this. Invoice Factoring – Is a great option for start-up staffing companies as well as established companies who may not have hard assets to use but have a stable supply of accounts receivables. A factor will purchase and collect on your invoices allowing you to better manage your cash flow deficit and pay your staff in a timely manner. The qualification process is quick and simple as long as you have a steady flow of accounts receivables from reliable clients. Factors generally look at the credit of your customer rather than your credit, which is advantageous if your credit history is less than perfect. Another little acknowledged advantage of examining the credit of your customer is that a factor may save you from conducting business with an unreliable source that may not pay on time, or at all. Invoice funding companies also take the pain out of collection, as they will undertake the responsibility as part of the service they provide.